Does My New Car Need Detailed? The picture shared with this post is a brand new Cadillac Escalade with only 82 miles on the odometer. As you can see by the picture there is sanding mark damage on the door panel. This SUV set our customer back over $100,000 and this is just a small example of damage that was inflicted on this SUV. How did this happen? Many people don't realize that from the factory to your garage there are a tremendous amount of stops your car must make. There is a good chance that multiple distribution centers and dealerships have touched your car before you drive it off the lot. 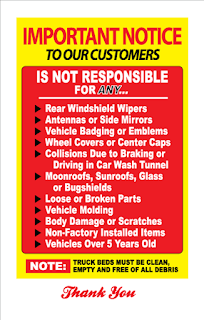 The deep dark secret of this supply chain is that at every stop an inexperience detailer will be cleaning your car and inflicting damage. Most dealerships will let this inexperienced detailer loose with a high speed machine to quickly go over your car to make the finish pop with more gloss, unknowingly creating swirl marks. Polishes will hide the damage for a few weeks, but once they are washed away you’ll notice the damage your car has received. All because the dealer didn’t have the proper procedures in place to do things correctly. Customers call us all the time after a week or two of driving their brand new car and they notice it is covered in deep swirls that only a machine could’ve inflicted. Having the paint corrected by a professional will eliminate the damage inflicted by the dealerships. There is not a single car that doesn't need to be protected. I know that many people get talked into purchasing a $150 special wax from the dealership but please do not be one of these customers. Its basically a spray on product that is highly ineffective. 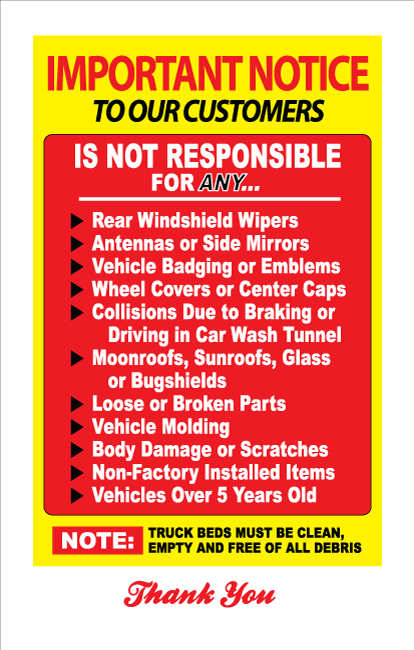 Also contrary to popular belief the factory does not put anything on the car to protect the clear coat either. Your car HAS ZERO PROTECTION when you get it home from the dealership. This leaves your finish highly susceptible to environmental contaminants that cause imperfections. 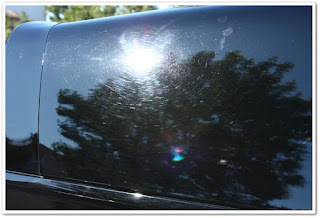 All you have to do to combat this is give your car a once over with a quality paint sealant. You’ll be protected for upwards of 6 months (depending on service and product) from dust, debris, fallout, and UVs. Correct the problem....Have swirls, scratches, etc... removed by having the paint corrected by a professional. Protect Your Car....Have a simple paint sealant applied to your new car. Then have it reapplied regularly as long as you own the car. Those simple things will actually give your car a showroom look that was missing when you bought the car. Feel free to contact us a www.vegasrides.com if you have any further questions we can help answer for you as well.